The EERC’s V8 Supercar Challenge goes ahead at Snetterton on May 13/14, and Tim Hood is already race-proving his self-built Sagaris in the Dunlop Tuscan Challenge – and, last weekend, in Castle Combe Special GTs. 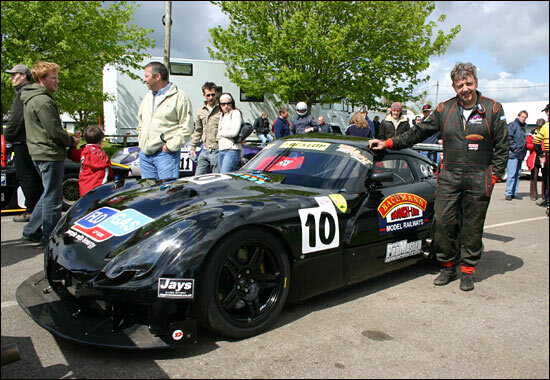 Tim has been around for a few years – he was the TOCA Fiesta champion in 1995, at his third attempt, driving for Pete Daniels Motorsport - and has been a mainstay in the Tuscan Challenge since 1997. Indeed, his new Sagaris used his old Challenge machine as the donor. “It was a shame to do it, but it was the only option - I can’t afford to build a Sagaris from the ground up,” he rued. 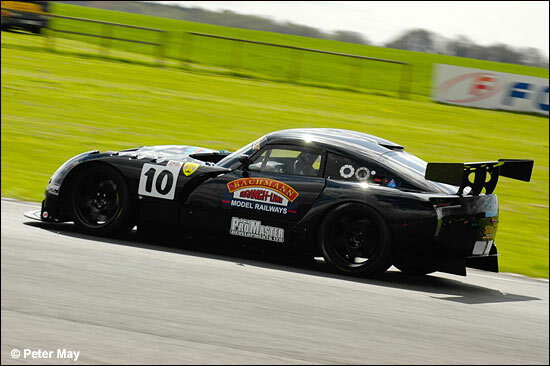 “.... and fitted bigger wheels, bigger brakes, and a bigger fuel tank,” interjected fellow competitor Darren Dowling, himself a V8 Supercar entrant (and now Britcar racer too) in his converted Tuscan Challenge car with the novel hardtop, which incidentally, was built by Hood – there’s a friendly rivalry between these TVR guys. And has it got a dry-break fuel system? “You know, the filler system, the one you got for nothing,” winked Dowling. Yes, it has then, which means it’s OK for Britcar, too. Starting from pole, Tim led from lights to flag, with mate Dowling’s Tuscan trailing by under three seconds at the finish. 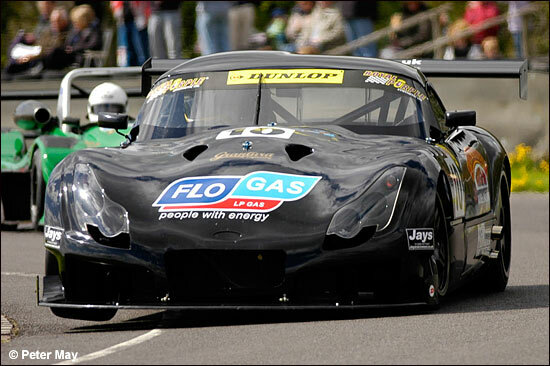 Tim’s team mate in the Jet Black Motorsport squad, Steve Glynn, came home a respectable fifth in his Tuscan. All three will be at Snetterton for the inaugural V8 Supercars races. Things are looking very, very good for a fabulous turn out for the first running of the V8s.